For over 15 years we have been welcoming guest who keep returning to us over and over again. We believe that it’s the calm they enjoy in within themselves and the connection they share with each other. 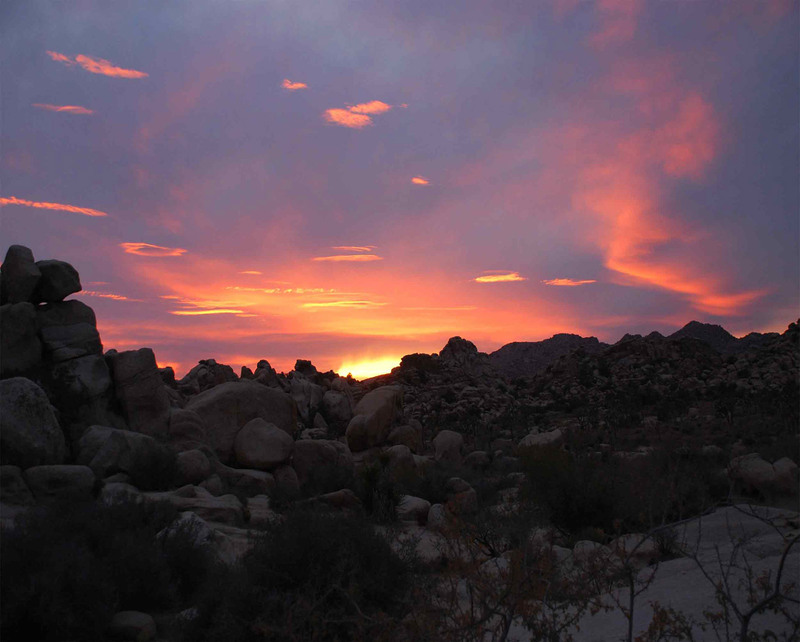 The simple fact is, we love Joshua Desert Retreats so much that we have a hard time not bragging about what a great time our guests have there. However, if you still aren’t convinced, just read a little from the folks who have stayed with us. We think, just like them, you’ll find that there’s simply no place on Earth like our secluded homes. A visit to JDR will rejuvenate your soul, stir your creativity and yes, at times, can even inspire a great deal of silliness. Once you come, we know you’ll be hooked! After perusing the JDR website my husband and I settled on Witt’s End. It turned out to be a truly spectacular week in the desert. We really got our money’s worth. The attention to detail is incredible. Walking across the property, we came across art installations (including a random 7-foot carving of a bear), games (horseshoes, bocce, ping pong, golf) and FLOWERS. Oh my. So many flowers! I mean, Joshua Tree National Park was stunning, and we spent a couple of days there, but the flowers at Witt’s End kind of blew the ones in the park right out of the water. We spent a lot of time scoping out flora and fauna, including TONS of albino looking lizards and really fast moving bunnies. The houses at Witt’s End are incredibly well-stocked, so if you’re headed there, it’s probably best that you do an inventory of what’s in the pantry *before* doing a shopping trip. There are lots basics (oils and spices), as well as random condiments. Additionally, you’re covered for blended drinks and toaster needs- there are plenty of modern appliances available. Finally, I just want to say a few words about the sky. The desert sky is really something. If you haven’t gone into the desert and stared at the sky, I suggest you do, because there is just so much of it. And I really paid attention this time, because we were there for the lunar eclipse and it was quite seriously one of the most beautiful things I’ve ever seen. Outdoor fireplace + hot tub + lunar eclipse = the total package. My husband and I chose to celebrate our 2 year wedding anniversary at the Jackalope property. We arrived late on a Friday night and found the house to be inviting, clean, and full of things to do, or not do, it’s your choice…it’s the desert! We had plans of hiking and exploring but found the property to be so perfect, we only left to get food to cook on the grill (all necessary grilling tools are provided). The house had speakers in every room as well as outside. All I did was plug my iPad in to the aux plug and music flowed everywhere we walked. I laid in the hammock. Soaked in the private hot tub. Enjoyed shooting stars and a night time fire in the backyard. I lived outside. The house was perfect but the outside was even better. The whole way back to LA all we did was discuss when our next trip was going to be. Go, go, go…you won’t regret it! I’ve stayed in the high-desert many times with my love but Godwin made it even more special. Access to a spa, pool, two fire pits. The attention to detail of the entire property, from the top to bottom is astounding. It was like staying in a high class resort but more homey. Upon our arrival entering into the house with soft music playing in the background, lights romantically dimmed to perfection (was like Valentine’s Day all over again), indoor fire place ready to be lit, and a bottle of wine ready to be popped open, just blew us away. Nights were very peaceful, star filled skies in all directions, during the day, very quiet, not a peep of civilization, only birds chirps, and the sound of the wind. It’s easy to lose track of time an hour felt like a day which was great when vacationing wasn’t a where did time go because time didn’t exist. The kitchen has all you need for cooking, a homemade comfort food setup kitchen. Gas BBQ off the back porch, the indoor fire place has a setup for hanging pots for boiling water, or cooking. Next time we will make fondue with the indoor fireplace and finish it off with s’mores. Access to local shops and eateries was simple. 10 minute drive you’re in one town, 5 more minutes you’re in another, and so on. Very friendly locals, very laid back, it’s the desert life way no rush nothing is rushed take your time and be like the desert. 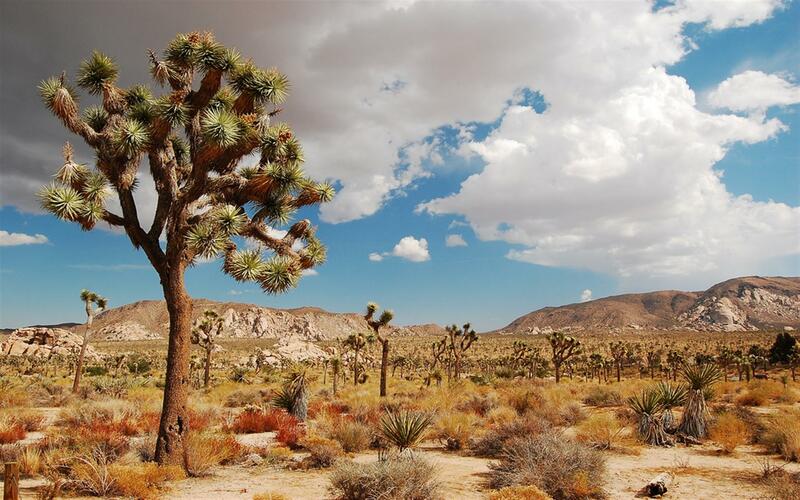 I drove up from my home in the heart of Palm Springs, in the heavily congested Coachella Valley, and was delighted to reach the wide open spaces of the high desert and what a difference! Even the pure high altitude desert air is more invigorating. You can reach out and touch the stars at night-and actually see the vast heavens. Our “Wikiup” rental home lacked for nothing-from gourmet kitchen utensils to well-appointed bed linens and towels, and beautiful original art pieces throughout that added character and charm to the rustic elegance of our accommodations. No detail was over looked by the owner, who left a delightful and comprehensive “user’s manual” for guests and everything worked out perfectly, including the nice warm cozy heater and all the plumbing with plenty of hot water. Don’t expect to be “camping out,” but do expect an authentic taste of the real high desert, with all the comforts of home-and our “Wikiup” included a pool and Jacuzzi, outdoor grill and fireplace, and squeaky clean accommodations. Love the quiet peaceful feeling of really getting back to nature. Never slept so soundly in years. 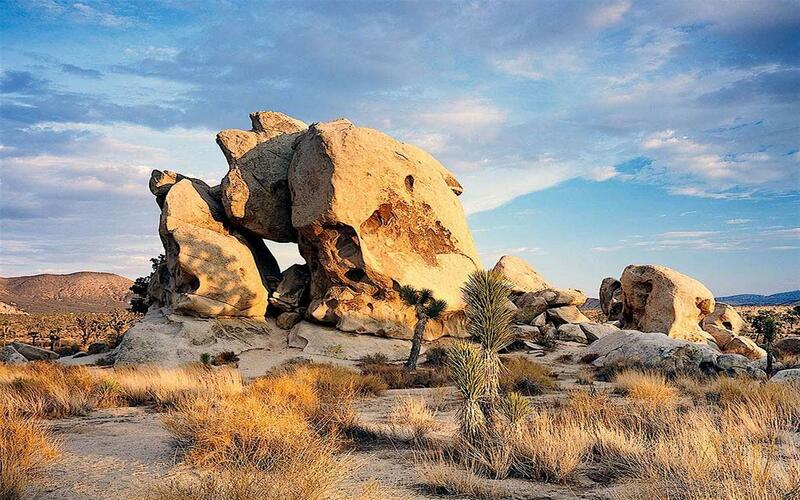 Lots of things to do in the area during the day, including exploring the vast expanses of Joshua Tree Park, and I will have to plan another trip back soon! 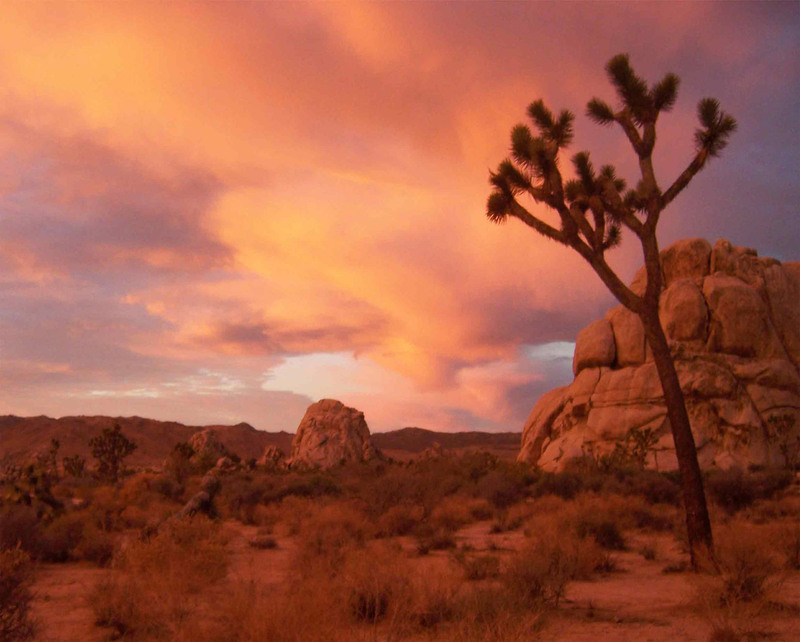 I was looking for a remote, relaxing vacation house in the Joshua Tree area for a low-key bachelor party with a bunch of guys in desperate need of a long weekend away from it all. Joshua Desert Retreats’ website was excellent, and all of the properties looked excellent. After chatting with the property manager, I settled on the ‘crown jewel’ property, Witt’s End. We were not disappointed. The property is absolutely amazing. There are three houses on this property: one large main house, one large “party house” (pool table, ping pong, outdoor hot-tub, more bed-rooms, kitchen, living room), and a small house for sleeping and laundry. The houses are all in excellent condition, very well maintained, and clean as a whistle! But, the overall vibe is what really gets you. Cozy, with a nice blend of 60’s suburbia, modern amenities, and traditional western themes. The place was well stocked with the necessary paper products to at least get us started, plus cabinets full of spices, garbage bags, coffee filters. All the little things you don’t realize you need until you are in the middle of a meal. The place is SO WELL KEPT that other than providing our own food (obviously) and spending a few bucks on a quick trip for ice and beer, there was literally no reason or need for us to leave the property for four days. Amazing. Also, the photos on the website do not do the scenic desert surroundings justice. The view in any direction is stunning. There are a couple of houses between 300-600 yards in either direction, but the actual fenced in property is HUGE to begin with! You will have no worries about enjoying the maximum amount of privacy and isolation possible! No worries about waking the neighbors by playing music on the outdoor speakers, or laughing at the impressive outdoor fireplace, drinking and smoking cigars late into the night! I cannot recommend Witt’s End more highly. Witt’s End is really the perfect mix of everything you would need for either a bachelor party or a retreat for a few families with their kids (they even have a nice dog house behind the main house). 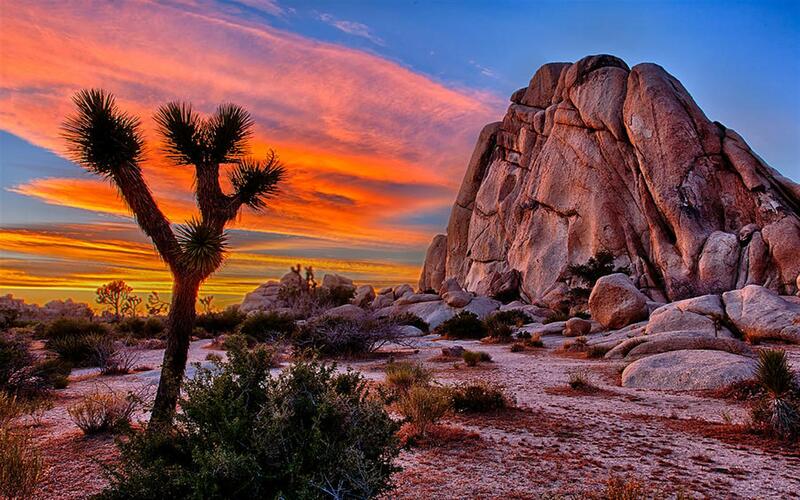 Thanks to Joshua Desert Retreats for a lifetime of memories! Can’t wait for our next trip, and cannot wait to try out some of the other properties in the future as well! My husband and I rented the Oasis for part of our honeymoon. I was not a fan of the desert and the Oasis seemed like a comfortable place to be introduced to the desert. I not only fell in love with the Oasis but the desert as I laid in a lounge chair, the sun setting behind me, silence all around me and I watched the colors of the sand to the sky change. This is a magical place. The house is cozy, sweet, romantic but would also be great for families. The bed was very comfortable, the house decorated in a way that sets an ambiance of peacefulness. The bathroom is very large with a huge shower. The kitchen was a joy to cook in and very well stocked with all you need to cook wonderful meals. The hammock was a wonderful place to lay and enjoy the desert mornings, sunset, and wind. We played horseshoes, danced in the wind to a sunset, thoroughly enjoyed the hot tub which was very clean and well taken care of. The TV, movie channels and sound system were a plus. Listening to relaxing music outside while relaxing in the hot tub after a day exploring Joshua Tree National Park is a must do. The smaller room with bunk beds worked nicely for us to store our luggage and clothing but would be an adorable room for children. The futon couch in the TV room made for comfy relaxing with a movie. We did not need to use the air conditioning or heat as we visited during the spring. The fire pit and fireplace outside made me want to come back when the weather is cool. Easy to find, easy to rent, very clean. I can’t wait to go back. Twenty-nine Palms is a cute town, we picked up a few groceries in Save-a-lot which was a cute store. We visited a gift shop in town and the owner was very friendly and helpful. We did not want to leave! This was exactly what we needed for a quick getaway from LA. 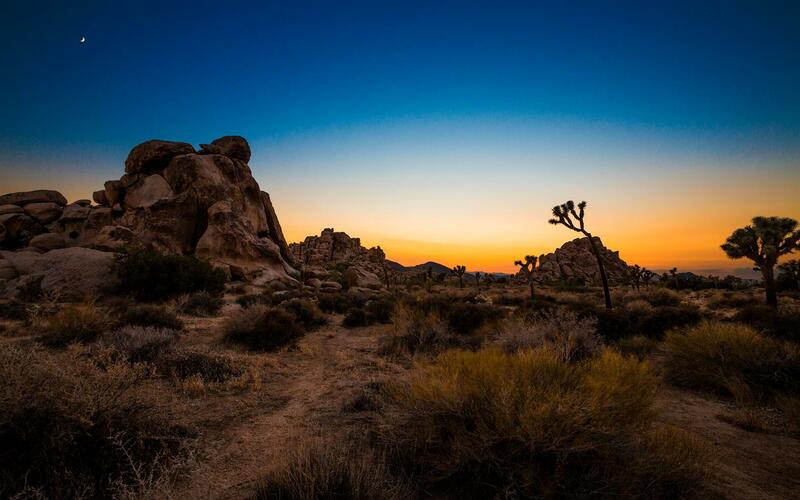 Our itinerary was simple…wake to a hot pink sunrise, jump in the Jacuzzi with coffee, indulge in a ricotta pancake & mimosa breakfast, explore and wander the towering animal shaped rock formations of Joshua Tree, translate the quail family chatter, jump back in the Jacuzzi with a round of margaritas, warm up with the outdoor fireplace vino in hand, a few rounds of drunken horseshoes, another delectable desert dinner, ending with an uncivilized game of fireside scrabble. I highly recommend it.